I’m guessing that many of you are baby boomers like me. Even if you’re not, there’s still a good chance you grew up with the Friendly Giant and Jerome the Giraffe, like my generation did. Life was much simpler then, wasn’t it--everything in its customary place. Selling a business is challenging, but it helps to start planning early. Whether you're five or 50 years into your business, you'll want to maximize value while minimizing risk and taxes. Achieving this takes planning and effort. You'll find individual posts with details on the steps and responsibilities of selling a business under the blog category: selling a business. But here's the mile-high view of what's involved in selling a business. 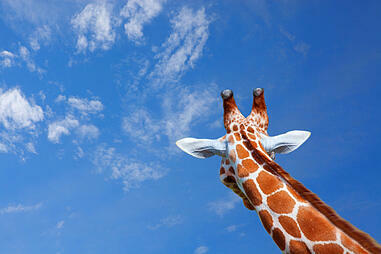 Look waaaaaay up! 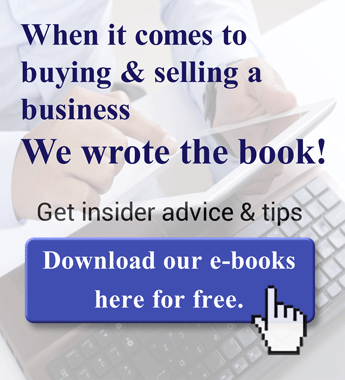 Buyers are looking for the right business under the right terms and conditions. Most are looking for an ongoing income (a top advantage of buying an existing business) with trained employees and an existing customer base. The cash flow of the business they're purchasing needs to be enough to cover their financing payments while still leaving them enough money to live on. In most cases, they'll need the seller to take back a note for a portion of the purchase price. For most businesses, confidentiality is a critical factor in a successful sale. You do not want your staff, suppliers, bankers, customers or competitors to know that you're selling. Who can you talk to? Who do you need to talk to? How do you protect confidentiality when you want exposure to a broad group of prospective buyers? How much information do you release and when? Every step you take to prepare your business for sale will also create a more enjoyable and more productive business environment and a better life for you. And, of course, you'll be ready when the timing is right or when opportunity knocks. You'll want to have a qualified expert formally assess the value of the business. This value is not negotiated; it is arrived at objectively through a professional appraisal. From there, we can determine the most probable selling price (MPSP). This represents a reasonable price, factoring the true (recast) earnings past and future, risk and what the market is willing to pay. We’ll also want to look at the value drivers for your business and determine when to go to market and what needs to be done in advance of that. While it's standard to see multiples of the business’s earnings used in valuation, this is often misleading and can be significantly off. No two companies are alike so there's much to consider. You want to create interest in your business opportunity without revealing the identity or details of your business. So how is this done? What goes into a marketing package that works? What does a typical marketing plan look like? How are buyers screened? What information do they receive and when? What should you be discussing when meeting buyers and, just as importantly, what should you not be discussing? What is important in an offer? What should a buyer expect from me? What terms should I expect to see? When should I involve a lawyer and accountant? What is their role? How do the buyer and I remain friends as we will have to work together for some time after the sale? How do I protect myself? What do I need to know about the buyer? What should I expect from my broker? What does this mean? What is expected from me? Who is involved? How long should this take? What do I need to check out about the buyer? How do I do this? Due diligence takes time, and managing buyer expectations while lawyers, accountants and other advisers provide their input (mostly negative) is critical to achieving a positive outcome. Issues often crop up at the last minute. What are they and how do we deal with them to get to a close? Issues around inventory valuation, working capital requirements, staff retention, closing adjustments, buyer’s or seller’s remorse, intellectual property ownership, legal drafting issues, liens, lease transfer, risk management and third-party financing can crop up. Closing is not the final stage of the process, but maintaining momentum to get closed is essential, as delays cause deals to fall apart. Who drafts what? Who does what? What are the typical documents and what is their purpose? What covenants, commitments and promises are expected from me and why? What is reasonable? What should a buyer expect? Will I get paid for doing this? How long will this take? What documentation should I have available? Who do we need to notify and contact at closing? How do we present the sale to employees, suppliers and clients? 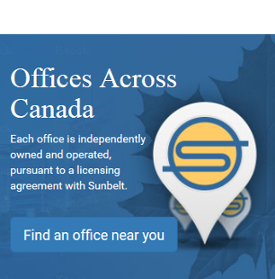 Speak with a Sunbelt representative at an office near you.